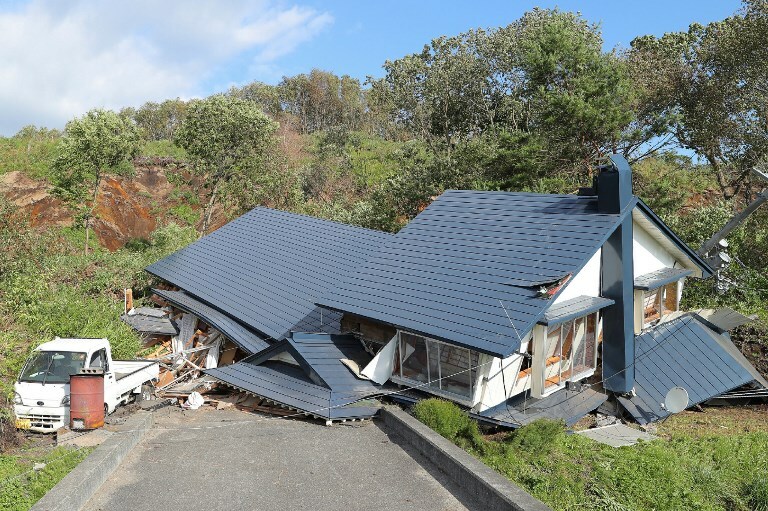 A house damaged by a landslide caused by an earthquake is seen in Atsuma town in Hokkaido prefecture on September 6, 2018. 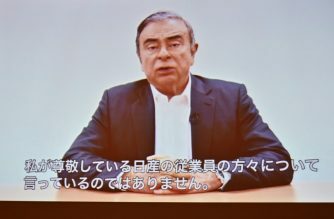 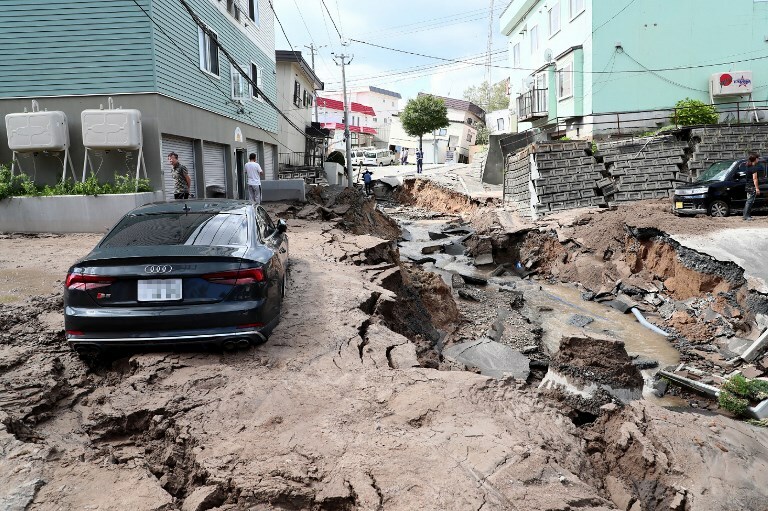 A car (R) is stuck on a road damaged by an earthquake in Sapporo, Hokkaido prefecture on September 6, 2018. 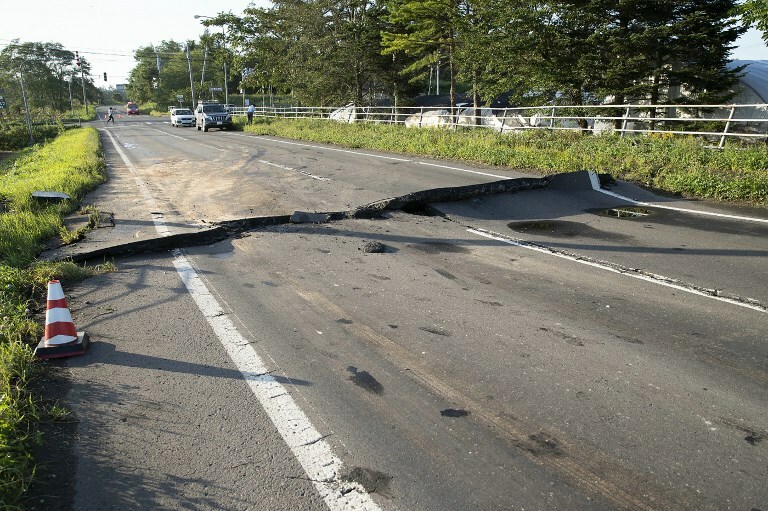 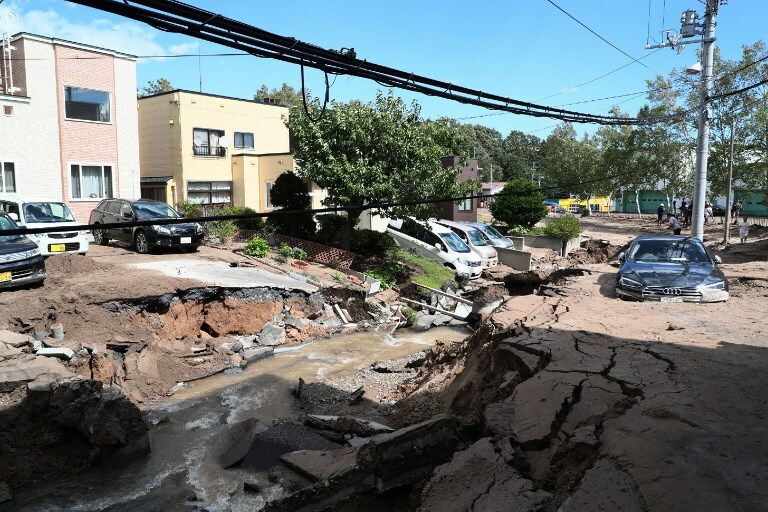 A road damaged by an earthquake is seen in Abira town, Hokkaido prefecture on September 6, 2018.